We Got Dumpsters is known for its junk removal DC and reasonably prices dumpster rentals. Contact us today and we will provide you with a “all-inclusive" price quote that contains delivery, pick up, discarding and an extended rental period. There is never a surprise delivery fuel or fees surcharges – we just offer dependable and transparent Dumpster Rental Washington DC prices! Do you need junk removal DC? Then please consider a Dumpster Rental Washington DC? We offer quick delivery for your home, commercial, organization or construction site. As our name suggests… We Got the dumpster that you need & it’s one business day away. 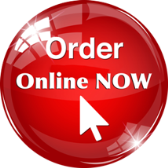 If your dumpster order is placed early enough, we can even have it delivered on the same day. Not many other roll-off dumpster rental Washington DC companies can offer this service? We take our commitment very serious about always delivering 1st class customer dumpster service. … Please don’t just take our word for it. Give us a call… The phone call is free.  After your initial phone call you can decide if you want to do business with WeGotDumpster.com. See why our customer can confidently rely on great service from us. Is this your first time booking a dumpster rental in Washington DC? Ask for our help and one of our professional personnel will be happy to guild you through the process of renting a roll-off dumpster. Of upmost significance to us is to make securing a dumpster rental Washington DC simple! • We accept all major credit cards including MasterCard, Visa, Discover & American Express. • Our competitors will insist that you be approved for a credit account before they will even schedule a delivery. If you’re still unsure? Please call us and one of our knowledgeable customer service reps will be happy to assist you in choosing the right dumpster rental for your project. Homeowners, contractors, companies, real estate agents, places of worship and other types of establishments in our Washington DC neighborhoods can trust We Got Dumpsters for their roll-off dumpster needs. We have access to ample inventory of garbage dumpsters designed to fit in tight places for your junk removal in DC. We also transport commercial dumpsters precisely for dirt, concrete and other recyclable materials. Ask our staff about availability and rental details. We always make it a priority to be ecologically friendly to our environment. Following EPA procedures… there are several items that cannot be put into our dumpsters. • Freon, fertilizer, or other chemicals. • Tires and mattresses are accepted at an additional cost. We only use certified waste recycling facilities and landfills that hold outstand standards according to their respected states. We Got Dumpsters – Junk Removal Washington DC delivers welcoming customer service, inexpensive rates, and the finest residential junk removal in DC MD & Northern Virginia. We like our recycle rates and our continued service to the public. All you need do is make a call to (301) 328-2001 today to speak with one of our well-informed team members about your residential junk removal needs. Once we have looked over your job, we will give you a quote that cannot be beat for the level of service we offer. All that is left is watching our team get it done. Before you know it… the junk that has been driving you silly will be nothing but a recollection. You can feel good knowing you moved on in a responsible, Eco-friendly way using our family-owned local business. We Got Dumpsters is a family-owned and operated professional junk removal company serving the residential and commercial communities of Baltimore, Washington DC, Suburban Maryland and Northern Virginia areas. From providing a roll-off dumpster rental or removing minor incidentals or clearing-out entire garages, we can handle the whole process. Call us today at (301) 328-2001 for all your dumpster rental and junk removal needs.